Famous for its Big Mouth burgers and smoked ribs, not to mention their signature fajitas, Chili’s make sure that with their menu and excellent service, people are going to find it hard not come back for more. It all began in 1967 when Larry Levine attended a chili cook-off in Texas. He loved it so much that in 1975, repurposed an old post office and opened the first ever Chili’s, which originally offered homemade chili, burgers, tacos and some homemade fries. And from that tiny joint came about more branches spreading across 32 countries. And in 2016, it was recognized by the International Foodservice Manufacturers Association as the “2016 National Chain Winner of the Chain Operators Exchange for Culinary/Operations Innovation”. To ensure that their employees are as happy as the customers they cater to, Chili’s provide not only competitive pay, but competitive benefits as well. Employees are eligible to receive referral bonuses, education credits, special discounts on travel, purchase of mobile phone, computer and even automobiles, health benefits, team member dining program, plus anniversary privileges, and lastly, a 401k plan. Aside from the great pay and perks that come with the job, employees are also given flexible online scheduling which is really beneficial for those with families, or for those who are in school or have a second job. They not only give opportunities for growth, but they also give you opportunities to enjoy life. How old do you have to be to work at Chili’s? For those who are interested to become a Chilihead, they accept applicants as young as 16 years old. However, this minimum age limit varies depending on the position being applied for, as well as the location of the restaurant or office the job is assigned to. 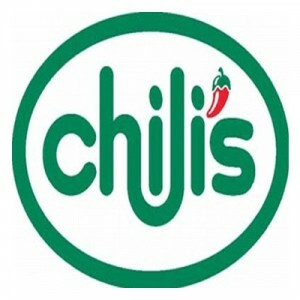 With the growing demand for more restaurants to be opened nationwide, additional Chiliheads are needed. If you’re talented, people-friendly, passionate, driven, and goal-oriented, then you may be the next Chilihead they’re waiting for. Line Cook: The Line Cook keeps tabs on all kitchen orders and ensures that food is prepared as scheduled without diverting from company policies of safety and quality. They are expected to be knowledgeable on all the recipes and be able to make them as needed. To-Go Specialist: The To-Go Specialist caters to To-Go guests with exceptional efficiency, hospitality, and knowledge of product menu and prices. They are expected to be able to multi-task, like answering phone calls, while assisting To-Go guests or operating the POS system. Server: The Server provides customers their ordered food and drinks along with the company’s signature hospitality and warmth. They are expected to be familiar with the menu and be able to work well with other members of the team to ensure excellent customer service. Prep Cook: A Prep Cook prepares food according to the standard recipe but should also be able to make them using several kinds of methods while adhering to company polices of safety and quality. They are also in-charge of stocking and preparing kitchen work stations. Host: A Host/Hostess serves as the restaurant’s front liner and ensures that guests immediately feel welcome and special. They should be able to manage the wait list and communicate any customer concern to the manager, while at the same time, cater to phone calls when needed. Bartender: A Bartender not only mixes drinks but also serves them efficiently and responsibly. They should be familiar with the entire menu and be able to answer client queries at all times. They are also responsible for keeping the bar clean and orderly, and its equipment and ingredients in-check and accounted for. Manager: The Manager is responsible for all restaurant operations; he/she ensures that everything is at par with the company’s policy on quality of food and service. They regularly hold meetings with team members and vendors, and even speaks to guests from time to time to guarantee full client satisfaction. Dishwasher: A Dishwasher ensures that all tableware, cooking utensils, cookware, and equipment are washed and cleaned. They should be able to work quickly or with the pace of the volume of orders for the day. General Manager: A General Manager reviews all reports and documentation pertinent to restaurant operations and team performance. They provide assistance and coaching to team members as well as to other managerial staff. Quality Assurance Specialist: A Quality Assurance Specialist is responsible for the preparation of food and drinks according to company standards, and health and sanitation policies. They ensure that every food ordered is delivered on time and of high quality. You can apply for a job via the careers website either by using the job search engine, or by browsing the Hot Jobs listing for available positions. You will be provided with a thorough description for each of the vacant positions so you can choose which one fits you best. Online application varies depending on the location of the vacancy. Even though a position is posted online, some independent franchise owners require applicants to submit their application at the store location itself. In filling out your online application, don’t leave any field unanswered regardless of whether or not it is required to be responded to. Always double check the accuracy of the information you have provided, specially your contact information. Include only pertinent information relative to the position you are applying for. Avoid oversharing or pumping up your resume with meaningless data. If called for an interview, make sure that you have read and understood the job description of the position you are being interviewed for. It would be helpful if you could relate previous work experiences that are relevant to the duties and responsibilities of the job that you want. Since its conception, founder Larry Levine wanted a place where friends and family can get together, grab some chili, a burger and maybe a couple of beers and just enjoy themselves. Decades later, that same vision still lives on with Chili’s ensuring that every guest leave with a full stomach and an even fuller heart. Additional perks for employees has just been announced: Best You EDU. It’s a comprehensive educational program wherein Chiliheads may avail of free education and exponentially increase their future opportunities. The company which was known for its chili and burgers has now became famous for its generosity – from taking care of its employees, to the immense support it has shown for St. Jude Children’s Research Hospital in combatting childhood illnesses. And to show how serious they are in helping children with diseases, for their second multi-year commitment, they have pledged $30 million in a 6-year span to aid St. Jude Children’s Research Hospital in their quest to give sick children a fighting chance. 1 How old do you have to be to work at Chili’s?